This is not a definitive guide but just a few tips and basic concepts to assist adults starting out running under age football teams. Small-sided games are extremely beneficial for young children. Anecdotal evidence and research studies show that youngsters derive greater pleasure from playing football in smaller teams and with adapted rules. As well as getting involved in the game more often, players learn more quickly and take more decisions during the course of a match. And as the ball is never far away, greater concentration is required on their part. This all means that they gain a better understanding of the game than they would in playing on big pitches. The fact there are less players on the pitch and on each team also means that they receive more attention and have more chances to score goals, which is what children play the game for. More than anything else children play the game for fun. Playing matches is also an essential facet of the learning process and helps speed that process up. It allows them to acquire skills and a sense of independence. It also develops their creativity, initiative and the ability to take decisions and helps them build relationships with other people and to respect them. 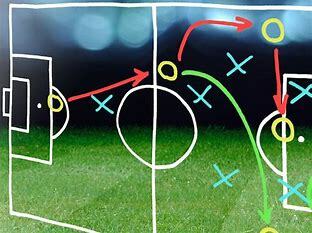 From a tactical point of view small-sided games are designed to enhance players’ vision of the game and their understanding of defensive and attacking aspects. Sessions should also include free play, however, with the coach withdrawing at some point from the action and allowing youngsters to play without rules and restrictions and to put into practice what they have learned. Technical skills such as possession of the ball, shooting on goal, passing, controlling the ball, running with the ball and heading are all used in the game. Thanks to the pressure exerted by opposing players, these skills can all be taught and enhanced. During training sessions coaches should ensure that each aspect of the game is worked on. If, for example, the focus of a specific session is on dribbling, a game format that develops this skill should be selected. Teaching football to children may seem an easy thing to do, but it is not. For one thing, this game needs a strategy that is hard for them to understand. The main thing that you should have in mind when coaching soccer for them, have fun. So, when you give them lessons about chasing the ball, you don’t have to yell if they make mistakes. Grassroots football is founded on two basic concepts: scoring goals and preventing the opposing team from scoring. The best way to achieve these objectives is to use game formats adapted to and applied to different exercises. 1. The smallest game format is one against one. This is an exercise that focuses on dribbling and shielding the ball. Encourage the children to use both feet. Children should also learn how use their body correctly and impose themselves. Another aspect of this format is “the ball and I”. 2. The situation changes when another player joins the game (two against one). The two players on the same side now have the option of passing the ball or keeping it and must decide for themselves which option to take. 3. The next level, involving several team-mates and opponents, requires more vision and involves more concepts of team-play and creativity. The more players there are in a game, the more complex it is. For this reason it is important to bear in mind the age of the players and to let them progress from small-sided games to games on larger pitches. Another important aspect to consider is that young players touch the ball a lot in small-sided games and are unable to shield it from their opponents. This forces them to go in search of the ball, which helps make these games very intense. Furthermore, no aspect of the game should be overlooked and matches should not be allowed to run on for too long. Substitutions, with replacement players lining up on the edge of the pitch, are necessary and help maintain the pace of the game/exercise. 4. Game formats not involving goalkeepers should also be used, depending on the skill level and the age group. To begin with coaches should ensure that scoring goals is easy as this encourages players to shoot, something that also aids the teaching of technical aspects. Before long, more skilful players will require more of a challenge and should learn how to score goals when under more pressure. Such situations represent a more advanced level of play and require the use of greater amounts of skill. 5. It is at this point that goalkeepers should be introduced. It is also important that goalkeepers learn about the tactical aspects of the game (shooting, pressing, opportunities for attacking or counter-attacking, etc). Small-sided games provide an ideal opportunity to do this. Players touch the ball a lot more often in small-sided games. They play more passes and find themselves in one-on-one situations. The repetition of situations in which they have to make decisions helps them to learn and view the game positively. Active participation also increases their enjoyment, making it easier for them to understand the game and, above all, giving them the freedom to express themselves on the ball. Small-sided soccer is about what is best for young soccer players. Young soccer players need special consideration. They are children playing a child’s game. They must be regarded as young children, not ‘mini adults’. With small numbers and the simple nature of the game, the best teacher is the game itself. With fewer players on the pitch, each player gets more touches of the ball and has greater opportunity to change location in a fast-flowing, fluid game. Playing small sided allows players to make simpler decisions and develop an earlier, better understanding of organization of play. Smaller pitches mean more players are directly involved in play, creating increased levels of both concentration and interest. The reduced pitch size encourages more shots on goal by all players, therefore more goals scored. Small sided soccer is the appropriate introduction to football. All available research and observation shows that children will have more fun and learn more playing a game with smaller teams and modified rules. Small sided soccer is, therefore, a game children can actually play rather than struggling to understand a game created for adults. Small sided soccer sets out to meet those needs. It is a game which has been modified from 11-a-side association football which keeps most of the major features of the game, while allowing children to succeed and take part in something that is still recognizable as football. Small sided soccer recognises the fact that younger children perform better in smaller teams with simple Laws. It also sets out to give children fun. Remember soccer is a FUNDAMENTAL game. The child has FUN while the DA goes MENTAL on the sideline! !